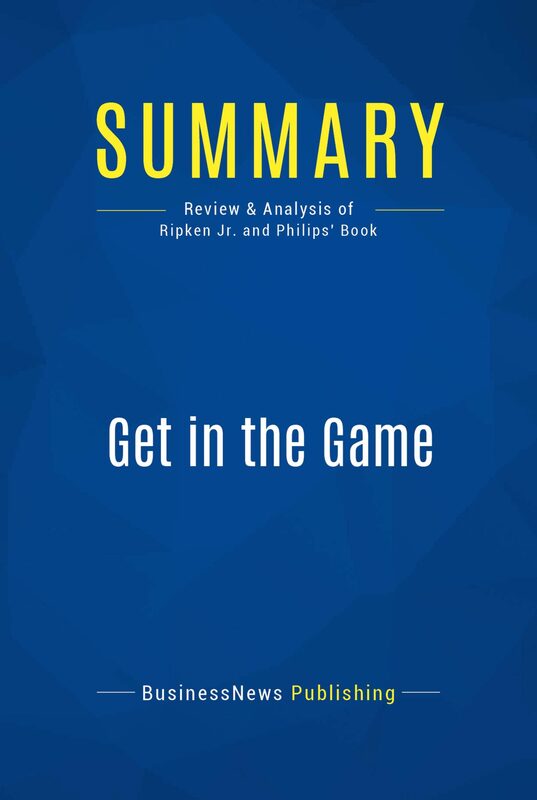 The must-read summary of Cal Ripken, Jr. and Donald Phillips' book: "Get in the Game: 8 Elements of Perseverance that Make the Difference".This complete summary of the ideas in Cal Ripken, Jr. and Donald Phillips' book "Get in the Game" tells the career story of Cal Ripken, Jr. as a major league baseball player for the Baltimore Orioles. In their book, the authors reveal the eight principles that helped him to excel throughout his career and earn a reputation as the "Iron Man". Whatever game you're in, this summary will inspire you to always persevere until you achieve the success you deserve.Added-value of this summary:• Save time• Understand key concepts• Expand your knowledgeTo learn more, read "Get in the Game" and discover the secret to persevering through any situation and staying on the path to success.